Here we go my Favourite Five! of 2012. Love the vintage look although it take time to rough up the papers and ink everything in sight, you will find the post here. Blue and Green seems to be a favourite of my cos this is my favourite Saturated Canary, you can find the post here. Once again I've chosen a few of my favourite things as candy but you do have to make a post with your favourites of 2012 and link it to the blue frog. Now I don't mind if you've already in the last few days made a post with your favourite cards and linking to that post but not last years! I will post the winner on Monday 7th January. these are fabulous Debby. I'm working on my 2012 favs at the moment... trying to choose one from each month. I don't know how you choose. All your cards are so fabulous that I would have an impossible task if I was you. These are all lovely Debbie and I enjoyed seeing them again. Still working on getting mine together...hopefully I will make the deadline. I don't know how you chose, Debby! But these are a fabulous collection and typical of your gorgeous talent! Apologies for my grammar - "this is" a fabulous collection!! 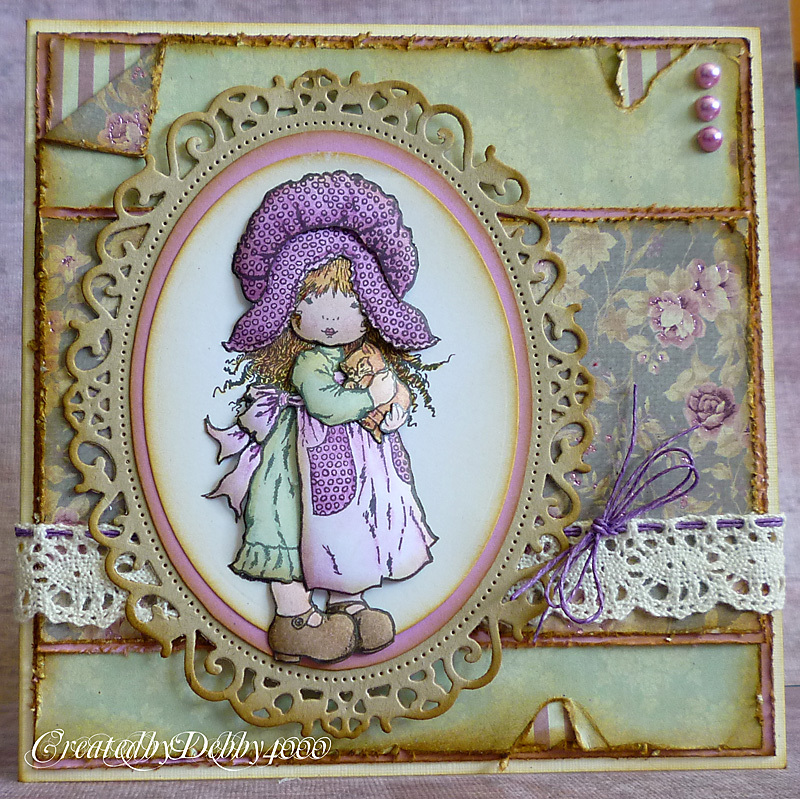 Debby, these are all so gorgeous, I love the first one, a very cute image and the ribbon detail is gorgeous. WOW!!! A stunning selection of cards Debby. The images, colours and layouts are wonderful. Thank you for sharing. An interesting and varied choice, love them all. I chose mine yesterday, not easy at all but good fun and have my post scheduled for Tuesday. 5 beautiful cards Debby, hard to compare or chose a favo but the first one with the ribbon details makes me smile!!! Stunning creations Debby. Your style is just awesome. Love them all Debby, however I might be putting the Woodware Balloon set on my wish list! Such gorgeous cards. I love looking at your creations you are so talented. fab choice Debby, they are all beautiful!! This might take a while to think about mine!! Oh, such a gorgeous collection! I adore all of these Debby. I have never seen any of our cards that I haven't loved. The images always jump of the pages at you and they are always superbly coloured and laid out. 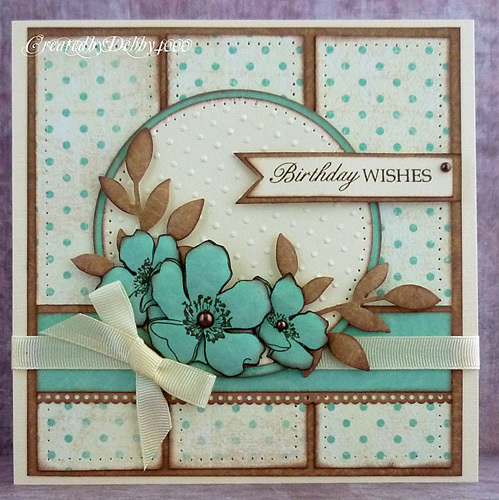 Debby...all your cards are beautiful and I always feel inspired by your gorgeous creations. I think your choices are all wonderful but I especially love the Saturated Canary card....Stunning. Brilliant idea from a fabulous card maker/artist/creator! I think I will have to give this one a try seeing how I missed the last opportunity. I am certain this was one hard job picking 5 favs out of your amazing collection, and i love them all. Awww Debby how hard is this..to choose only 5..thanks for another great chall. Everyone of your cards are stunning Debby but what a fantastic selection you have chosen. All of these are just Great! Another fantastic choice of cards Debby. I think my favourite one has to be the embossed floral one as I love how you do your floral cards. Just wish mine turned out as well as yours. Gorgeous cards Debby, beautiful 2012 collection! 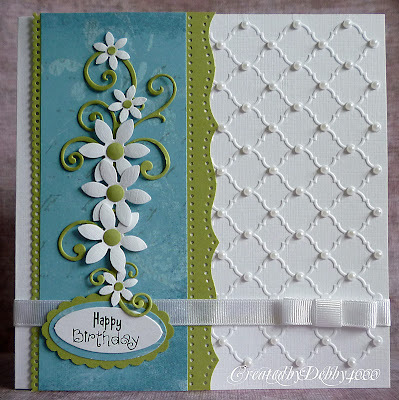 Debby, your cards are always amazing, love each and every one of these - blue and green are faves of mine, too! Happy New Year! These are all such wonderful cards, Debby! 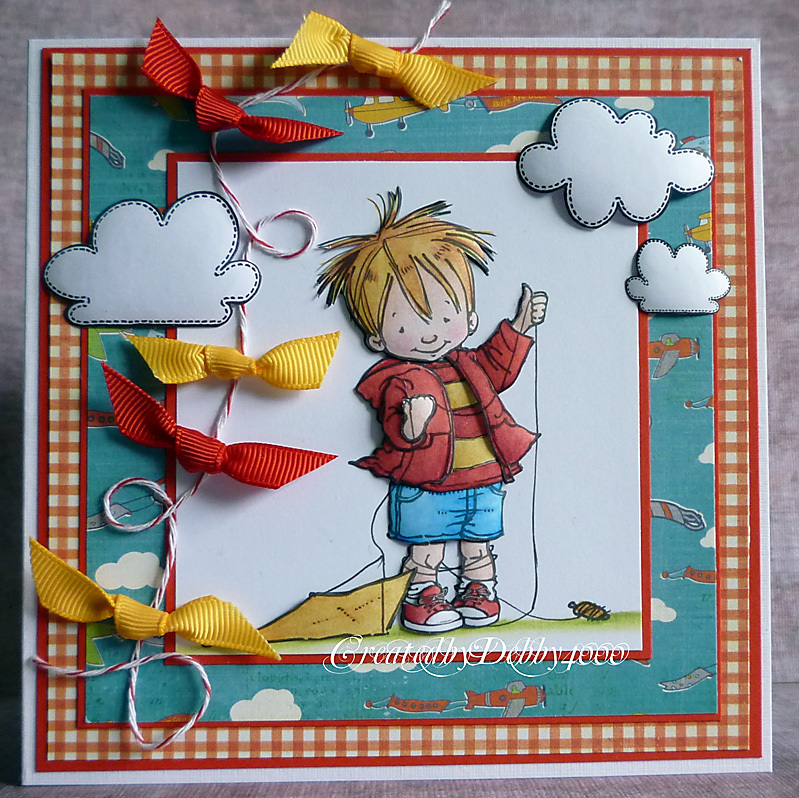 I just love what you've done with the kite playing boy, such a great use of ribbon to add texture! 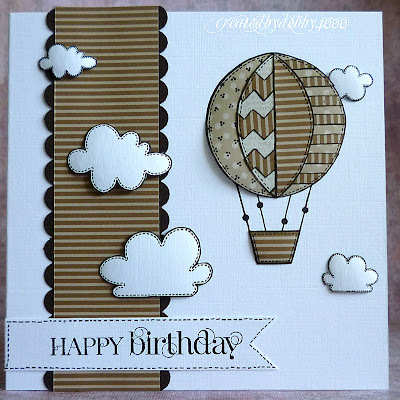 And I love the color scheme on your hot air balloon card - great papers and the clouds are such perfect details! 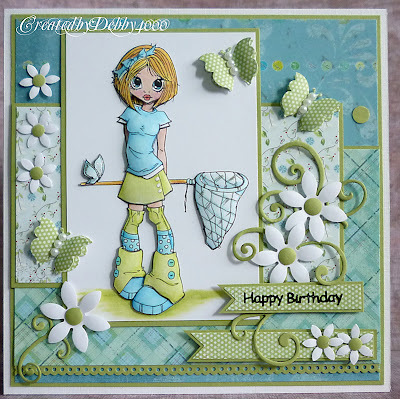 I love ALL your cards Debby - they are always stunning, and you are definitely the Queen of 3-d Decoupage! 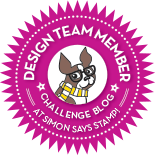 Your Favourite Five idea is simply brilliant - thank you so much! these are all so gorgeous debby.i don`t know how you managed to pick just 6 from all your cards, i am going to post mine soon but i think it will be more than 5.lol. They are all so beautiful Debby!! Your cards are all lovely Debby !!! Lovely cards Debby, Great review of 2012! Wishing you al the best and lots of creativity for 2013! Gorgeous Debby, I don't know how you can choose as I think all your cards are fabulous! What a beautiful top 5. Nice stamps and colours you used. Thank you so much for the chance this beautiful prize. Wishing you al the best and lots of creativity for 2013. Fabulous choice Debby, bet you found it extreemly difficult to choose, glad you didn't ask me to pick my fav 5 from your cards, I'd never have managed it. Wow, all of your five cards are amazing! I think the balloon card is my favourite... Hard to choose! Your cards are gorgeous. I have just came across your blog. Will link my top 5 shortly. These are all absolutely gorgeous Debby,as are all your creations you make...love them all. Thanks for doing My Favourite Five again this year, so much fun. Ooops I have posted 6 cards, just couldn't decide which other one to not show. wonderful collection, so joyful and bright! All the cards you've chosen are lovely! I don't know how you pick because all your cards are wonderful. Thanks for the chance to win! What a lovely collection of cards Debby don't know how you kept your selection down to 5. Wonderful collection of cards,love looking at your work. Have a safe and happy new year. Wonderful cards!Happy New Year and best wishes for 2013! Gorgeous Top 5 Debby. I would struggle to pick 5 of your cards. I love them all, you have a fabulous style. I love the 3D effect and the colors on the Mo Manning boy card! What a great idea, its great to look over the cards you have made. 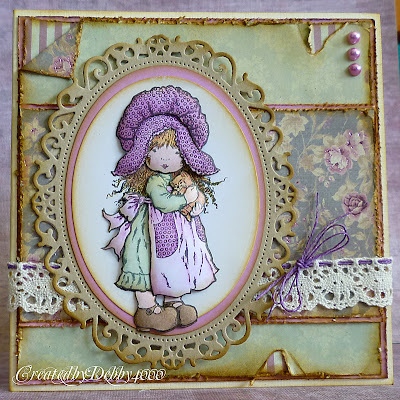 Your cards are gorgeous, love the rounded effect on your decoupage layers. Another great selection, Debby - love them! Not as easy to choose as the Christmas cards but I've managed it. They are all Gorgeous but my favourite is the Sarah Kaye Girl holding the Kitten! Wonderful idea and creations,thank you! !Wish you Happy,Happy New Year!!! A fabulous collection Debby, and as everyone else has said, I don't know how you choose your top 5!! Happy New Year to you and look forward to seeing more gorgeous creations in 2013! Wow!! Such stunning creations! Love them all! And thanks so much for hosting this favorite 5 on your blog!! Thanks for the fun linky party Debby! I LOVE your cards! Awesome choices and I want to wish you many more cards in the new year! I love receiving your email blog update! Thanks so much for sharing and inspiring! Thanks for doing this Debby. I plan to start looking through while I kick back relaxing tomorrow! Happy New Year to you and may 2013 bring both of us creativity. I think I need it more than you though, Yours seems to be operating at 100% most days! 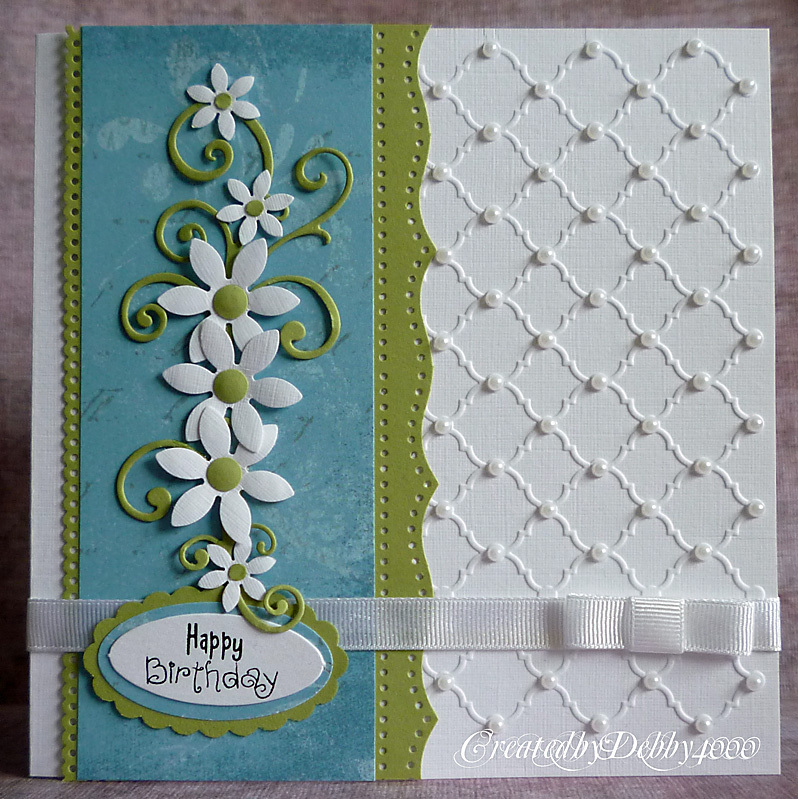 Your cards are so beautiful, Debby!!! I can see why these are some of your faves from 2012. They are gorgeous. Hi Debby late in finding you but loving this idea. Thanks for hosting it oh and before I forget loving all your picks from the year. Beautiful selection of cards. Have a great 2013, hugs Erika. An amazing collection, Debby. Thanks for hosting and Happy New Year! I didn't have time to join in this year (my post is still unfinished and in draft! )but as always your cards are fantastic. Thank you for all your inspiration and a very Happy New year to you! They are all fantastic Debby...gorgeous cards..
what a fabulous selection Debby - although I really don't know how you could choose as all your cards are gorgeous! Wishing you a Very Happy New Year! Gorgeous top 5! I don't know how you pick when you have so many cards that are so stunning! You are my favourite blog to visit - always so inspiring! Thanks for another great year! I have barely had a chance to craft this season and when I did, no time to post. Hope to get on this and share my fav 5, but if not thanks for the generosity! I always enjoy stopping by. Thanks for hosting this - it's such fun. I really like your selection (so tough to pick though). I think my favourite is the monochromatic hot air balloon! I'm always amazed that you can pare your cards down to just five Debby. These are all lovely but my favoutire is the little boy with his kite. I received a 72 set of Prisma's for Christmas so I'll be scouring your posts for any tips, lol! Thanks for hosting this fun little linky party and for your generosity with the prizes. Love your Top5 choices - especially No.4 - that has to be my favourite. Bellissime card complimenti!!!! E brava per queste bellissime iniziative!!!! Baci!!!! I have really enjoyed this Debby. I have been absent for a while due to family illness and my mind has not been focused enough to make cards. I miss you all in blog land and this has been a lovely challenge to participate in.